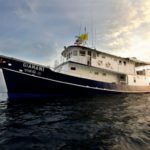 This is the thirtieth in a series which introduces and describes the various dive services and sites for worldwide liveaboard dive safaris. 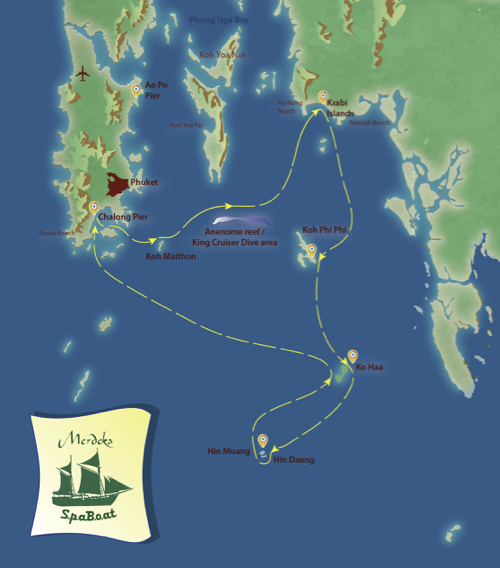 This one will focus on the trips that embark from Phuket, Thailand and sail the southern Andaman Sea. Phuket is situated on the west coast of Thailand, centrally located on the shore of the Andaman Sea. At 21 km (17 miles) wide and 48 km (30 miles) long, it is the largest island in Thailand, and though having a very developed tourist industry, still has many relatively unspoiled natural areas on land, as well as in the sea. It is known for its beautiful beaches, scuba diving, water sports, resorts, Thai cuisine, ornate temples and night life and is also well positioned as the port for liveaboards to the Similans and Burma Banks in the north and also the southern Andaman Sea, as well. The southern Andaman sites are usually thought of as day trip dives, but there are liveaboards that do an excellent job providing access to the best sites there without having to go back and forth to shore. 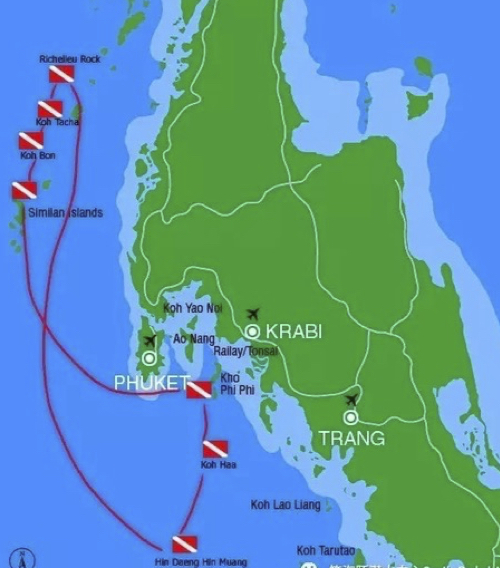 Twenty six years ago I first went to Phuket and took part in several day trips to dive. 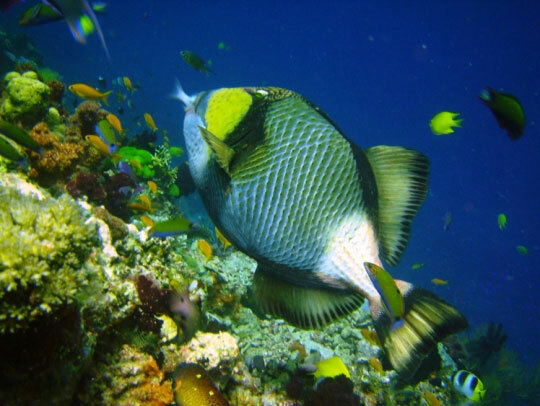 I was impressed with the rich coral reef and the variety of fish and macro creatures. 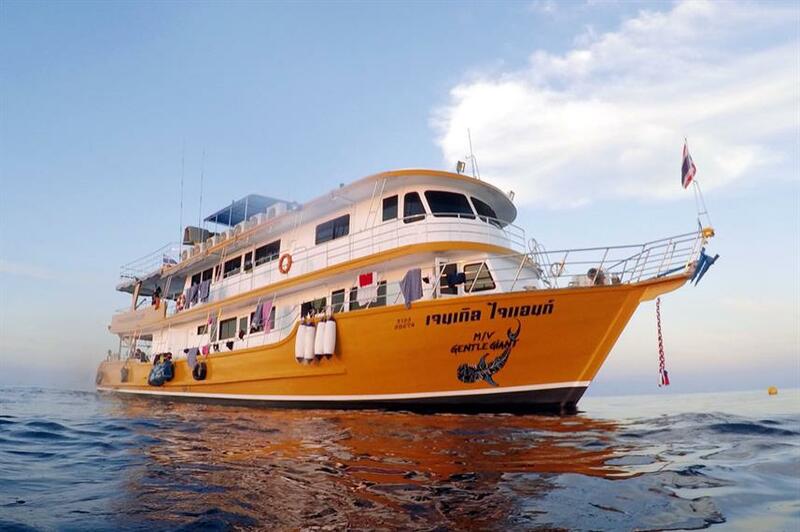 Some of the featured sites are: Shark Point with its leopard sharks, Koh Doc Mai – walls covered with macro life, the King Cruiser Wreck, Hin Daeng and Hin Muang – sea mounts, Anemone Reef, Racha Noi and Yai, Phi Phi Islands and Koh Ha. Highlighted wildlife includes whale sharks, mantas, schooling barracuda and jacks, snappers, grouper, moray and zebra eels, leopard sharks, blacktip and whitetip reef sharks, red tooth, clown and titan triggerfish and schooling baitfish all on a bio-diverse coral reef. Check out the videos for more. 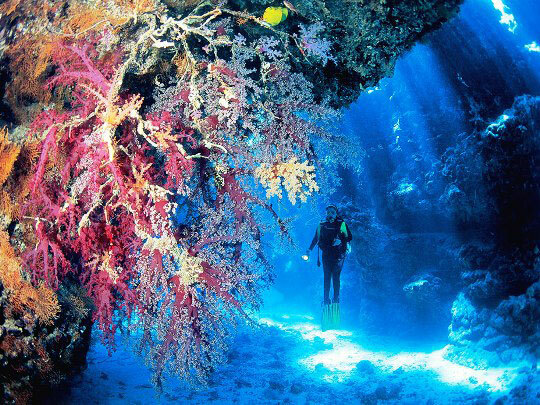 Diving is possible year round in the Andaman Sea. The best time is between November and April when it is dry and less windy. Tourists really flock there in December and January, so early booking is advisable. The monsoon season is March to October with September and October the rainiest time. There can be more surface chop due to wind during the monsoon season. Air temperatures are highest in April with an average of 31°C (87°F) and coolest in December at 26°C (79°F). Water temperatures reach 26°C (79°F) in January and February and 30°C (86°F) in May and June. In March and April thermoclines may be encountered with downward decreases of 2°C (3.6°F). A 3mm wetsuit is probably adequate for most divers. Visibility is variable based on the area and season, but ranges from 10 meters (35 feet) to 30 meters (100 feet). 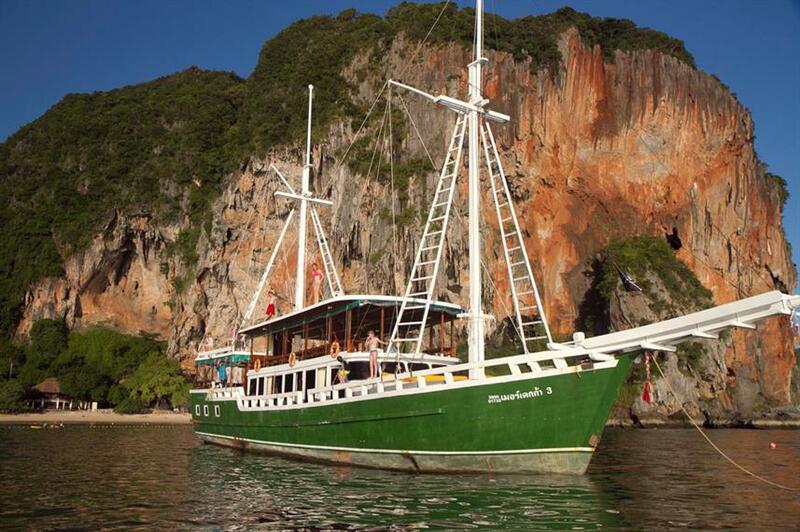 Three boats are providing liveaboard dive safaris to the southern Andaman Sea departing from Phuket. 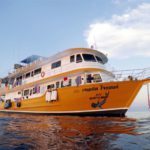 The Merdeka 3 promotes a relaxed atmosphere of up to two dives a day and a lot of island hopping and shoreside activities, all in the southern sector. The MV Giamani runs two different cruises, one to the southern Andaman and another to the northern Andaman, back to back. This allows divers to do one or both. This boat is more encouraging for advanced and tech divers. 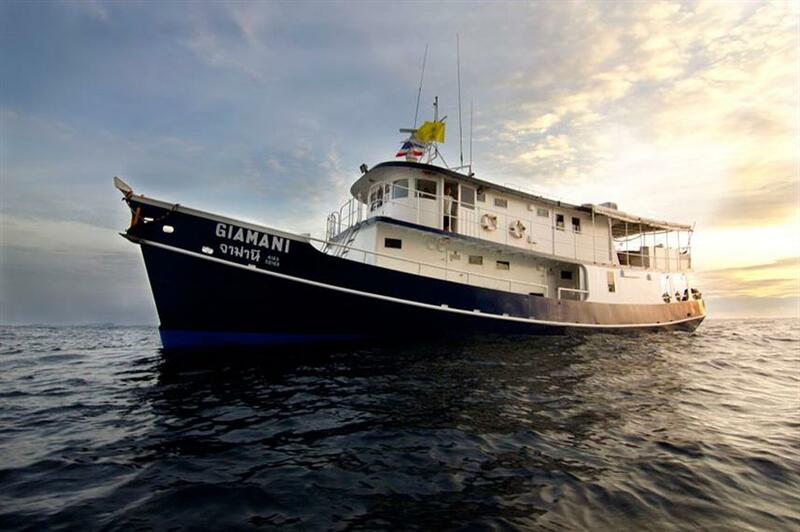 The MV Gentle Giant, like the Merdeka 3 runs just a single cruise, but this one encompasses both the northern and southern Andaman Sea. Hey Joe! How are you doing? I’ve really enjoyed reading this article as you’ve provided us with lots of information. I’ve actually been to Thailand a long time back – it was in 2008. I saw the James Bond Island located in the Andaman Sea. I’m a big fan of scuba diving and I purchased an underwater camera to take some pictures of the coral reefs. This is one of the places you should visit at least once in your lifetime. Thank you for taking your precious time in writing this post. Keep up the good work Joe! The James Bond island from The Man with the Golden Gun really helped put the area around Phuket on the map back in the 70s. It is really a great area for diving and island hopping and if you can make it back there again, there will be some great photo ops. I hope you get the chance. If you have any questions about cameras, dive gear or other locations to dive, please let me know. You are killing me with your articles! 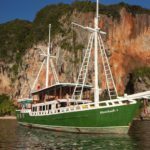 The French Polynesian Live aboard was out of this world and, this Thailand adventure…well, you had me at whale sharks! I’ve been wanting to do a trip just based on seeing these amazing creatures! This trip might be a little more doable price-wise. Plus, I have friends who live in Thailand so it would be a win, win! My Autistic older brother would totally geek out that I got to explore in James Bond stomping grounds as well. Wow, just wow! Thanks for coming back for more and your enthusiastic comments. This area of Thailand is much more accessible than French Polynesia, with a lot of options other than diving to enjoy, and lower pricing. I hope you get a chance to go there and get your start in diving. Let me know how things go.